Welded Austenitic Stainless Steel ASTM A269 Tubing, ASTM A269 Tube, ASTM A269 Stainless Steel Tube, Stainless Steel ASTM A269 Seamless Tubes, ASTM A269 TP304 Seamless Tubes, ASTM A269 SS Welded Tube, A269 UNS S30400 Tubes, ASTM A269 Stainless Steel Tubes Supplier in Mumbai, India. 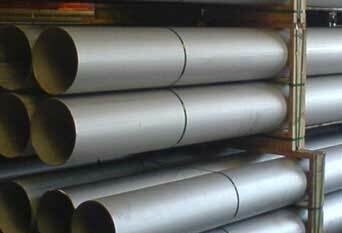 ASTM A269 specification is for Stainless Steel Seamless and Welded Tube. These tube have high strength which makes them ideally suitable for pressure applications within the oil & gas, petrochemical, chemical, energy, pulp & paper industries, etc. Piyush Steel is a recognized manufacturer and supplier of ASTM A269 Austenitic Stainless Steel Tubes, which has some great features to offer such as high strength, durability, rust proof and more. Backed by our vast industrial expertise, we bring forth ASTM A269 Stainless Steel Seamless Tubes to our revered patrons. In order to cement our position, we are successfully presenting a wide and quality assured gamut of these tubes. Customers can avail these products from us in the shape of rectangular / round / oval / square and other profiles sections as per their needs. 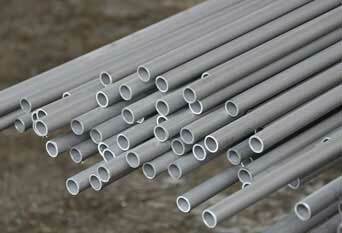 To suit the diverse needs of the clients, we offer these tubes in different sizes, grades and specifications. Offered ASTM A269 Welded Austenitic Stainless Steel Tubing is manufactured by our reliable vendors using premium grade stainless steel. We subject these products to outstanding surface finish for a striking appearance and excellent resistance to corrosion. 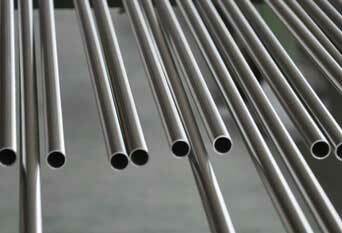 High grade stainless steel and advanced technology is incorporated in the manufacture of these tubes. ASTM A269 TP 316 Seamless Tubing, A269 TP 316L Tubing, ASTM A269 SS TP 304L Tubes, TP310 Stainless Steel Seamless Tube Dealer, ASME SA269 SS UNS S31254 Tubes, ASTM A269 Stainless Steel TP310 Welded Tube, SS ASTM A269 TP 317 Tubes Manufacturer in India. ASTM A269 Welded Austenitic Stainless Steel 904L Tubes, High Quality Stainless Steel ASTM A269 Welded Tubes, Stainless Steel ASME SA269 TP 317L Tubing Dealer, TP 321 SS Welded Tubing, 347 Stainless Steel Seamless Tubing Stock Holder, SMO 254 Stainless Steel Seamless Tubes. These ASME SA 269 Stainless Steel 316 Tubes offer some excellent features such as Durability, Resistant against rust, Robustness, Non-corrosive, Fine finish, Reliable, High tensile strength, Resistance against abrasion, Robust construction, Perfect finish, Highly durable, Long life, High resistance, Cost effective, Durable, Easy to install, High strength, Can withstand high pressure and more. 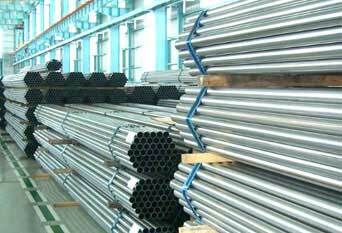 The steel pipe offered by us is checked in terms of quality before supplying to our customers. This steel pipe is manufactured using finest quality material and progressive technology in tandem to universally verified standards. Offered range of ASME SA 269 SS 304 / 304LTubes is available in a variety of sizes and dimensions so as to meet particular fastening work of industrial applications. These are used in several applications such as oil and gas production, piping systems, medical devices, food and beverage production, structural applications, corrosion-resistant vessels and more. They are also used in Used in areas like petroleum, power, papermaking, chemical, aviation, boiler heat-exchanger and others. We Supply ASTM A269 / ASME SA269 Tubes of various origin’s and companies like Nippon Steel & Sumitomo Metal, Sandvik, Sanyo Special Steel, Kobe Steel, Schoeller Bleckmann, Salzgitter Mannesmann Stainless Tubes, Tubacex etc.